Thanks for attending the bridal show. Here are the bonuses from the show and the pre-show bonuses if you didn’t get a chance to download them yet. 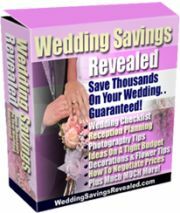 A Simple, Step-By-Step Guide To Throwing The Most Unforgettable, Wedding – And How You Can Literally Save Thousands In The Making Of YOUR Wedding! This wonderful report gives you a complete, detailed list of essential wedding tasks that you need “to do” before the big day! 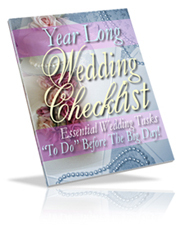 Takes you step-by-step (checklist) from one year until you get married! This is the ebook that covers everything there is to know about wedding etiquette. In fact, some people have called it the “Wedding Etiquette Expert Guide “! It doesn’t matter if you are just starting to plan how to manage a perfect etiquette for your wedding’s event even you have never experienced before, because this insider guide will show you all you have to know about wedding etiquette! – This eye-opening report will truly give your reception the juice it needs to be the absolute best! It’s also printable so you can check things off, and keep things organized as well .